The NetworkManager icon in my upper panel keeps vanishing for no reason I can think of. See Pic 1. I didn't delete it nor moved it somewhere else. I can't put it back into the panel using Add to Panel (Pic 2) because it's not listed. And I've certainly got the latest version; see Pic 3 and check here: NetworkManager - Linux Networking made Easy. Pic 1 - NetworkManager icon missing from the upper panel. Pic 2 - Screenshot of Add to Panel. 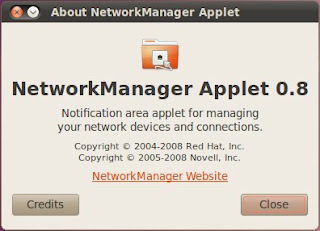 Pic 3 - Screenshot of the About NetworkManager Applet 0.8.
the icon will habitually keep vanishing. you have to keep the Terminal open for as long as you want the NetworkManager icon to display. If I close the Terminal, the icon disappears. 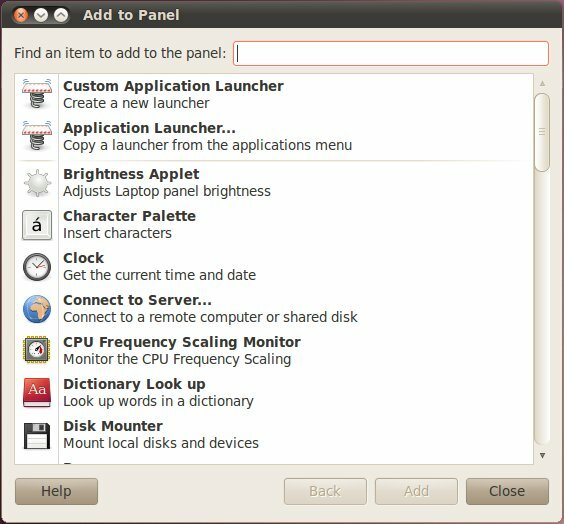 See the early part of this post on how to access the Terminal: How to add a Terminal shortcut in the right-click menu. 3. Depending on how your laptop security was setup, your password might or might not be required. If required, type-in your password then press "Enter". Otherwise, skip this step. 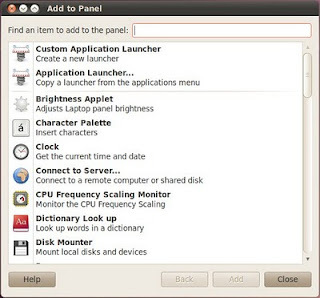 Your NetworkManager icon will return to it's previous place in the panel as shown in Pic 4. Keep the Terminal running for as long as you want the icon to be displayed in the current session. 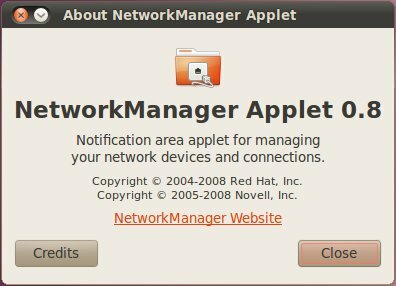 The NetworkManager icon might disappear again, or might still be there the next time you boot-up. Pic 4 - Refer Step 4. The NetworkManager icon is back in the upper panel. Also showing it's menu. Abang got this fix from a forum but I don't have the link to it. In the same forum thread, someone mentioned the icon disappears when placed too close to other icons; in my case, this is not true.